McCoy Credit Card holders, please click here to manage your account online with Synchrony Bank. Yes! 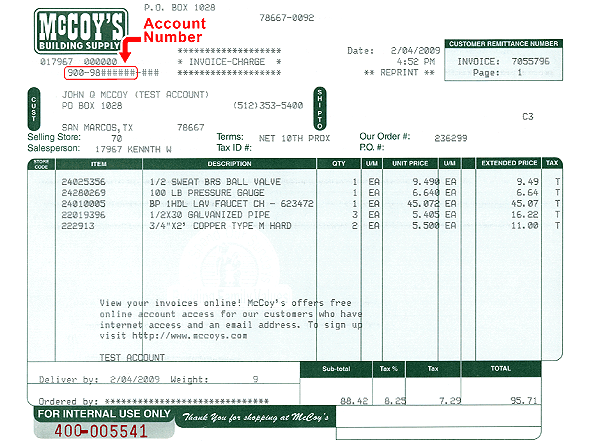 I would like to receive emails from McCoy's Building Supply about upcoming promotions. Please fill out the information below if you would like to pay your bills online. With Online Services you can browse two years of invoice history, save and print detailed itemized invoices, export account data to use with your preferred accounting program, and make online payments 24/7. McCoy Credit Card holders, please click HERE to manage your account online with Synchrony Bank. For security and accuracy, requests for Online Services are processed Monday-Friday from 8AM-5PM. You will receive a confirmation email when completed.